Seen from a local perspective the approach of AlpHouse helps to preserve the attractiveness and competitiveness of the various regions of the Alpine Space. It contributes to raise the usage value of their building stock and to preserve and develop the intelligence of endogenous settlement structures while reducing urban sprawl. Simultaneously the AlpHouse approach supports regional cycles of material, energy and economy as well as the innovative strength of local enterprises. 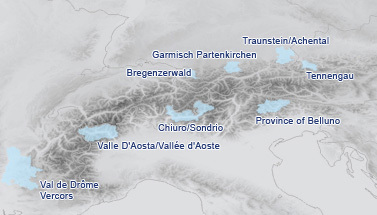 In this way it stimulates thinking and acting across generations in a sustainable way, and it contributes to preserve the distinctiveness of the Alpine Space as a unique cultural heritage in the centre of Europe. informing and qualifying the local players comprehensively.